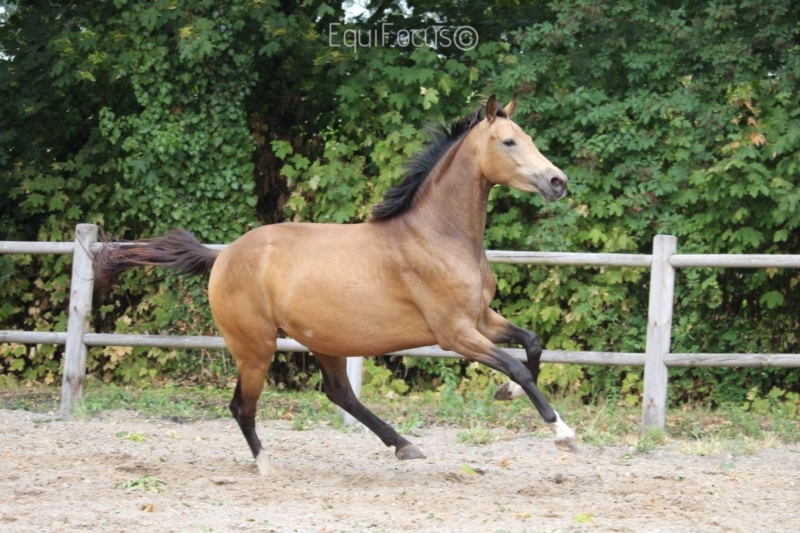 Direct from breeder. 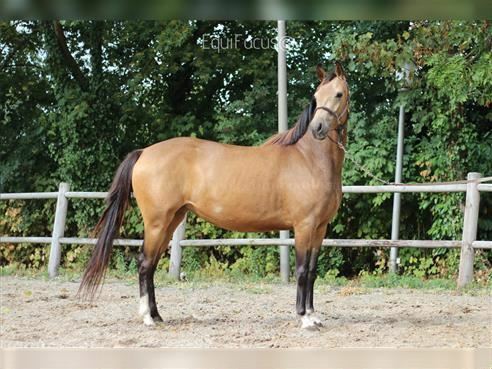 4 year old buckskin mare. 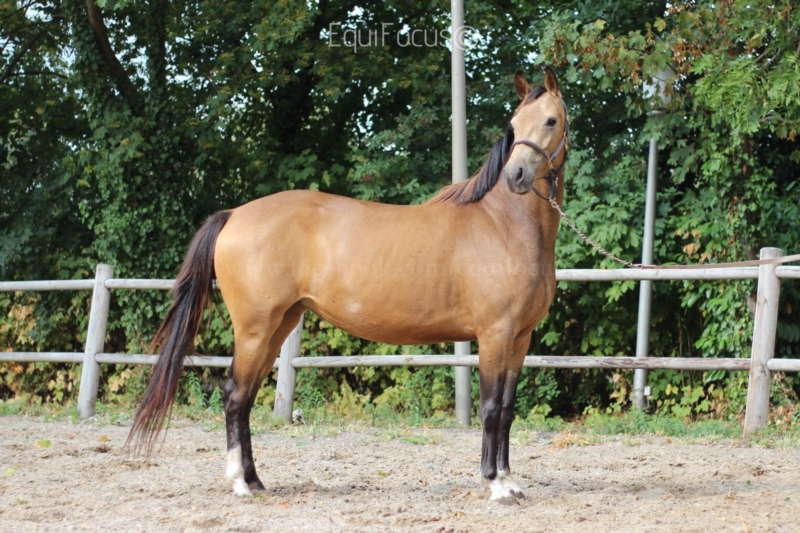 1e prime as a foal. 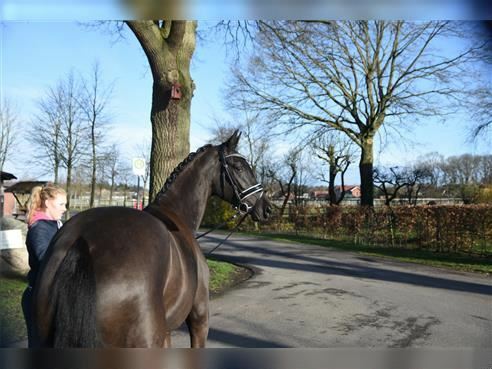 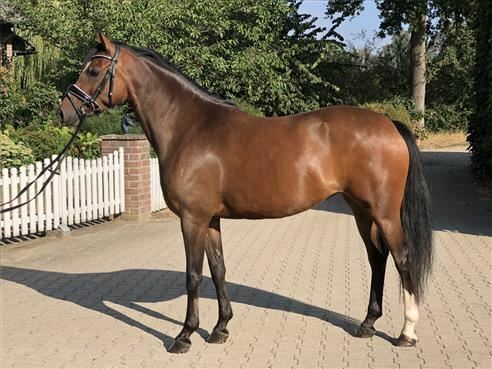 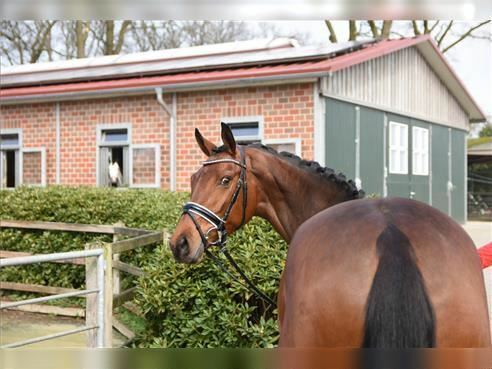 Really talented young warmblood mare with a spectaculair colour, together with a nice pedigree. 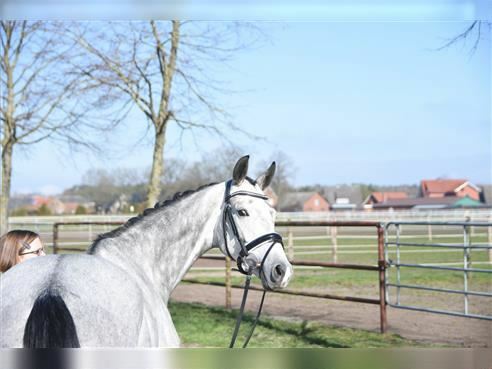 Her sire is Five Star (Amazing Star x Jazz) and dam is from Baron x Sandro x Graf Grannus. 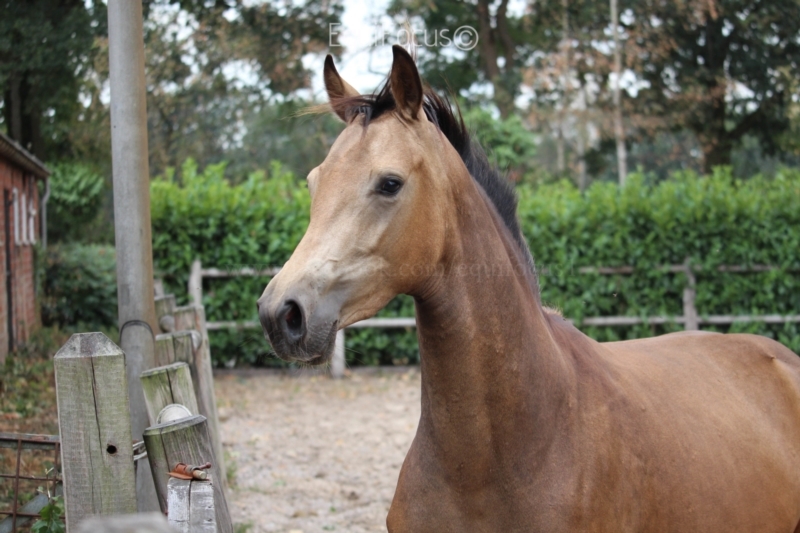 She has a perfect conformation and a beautiful face. 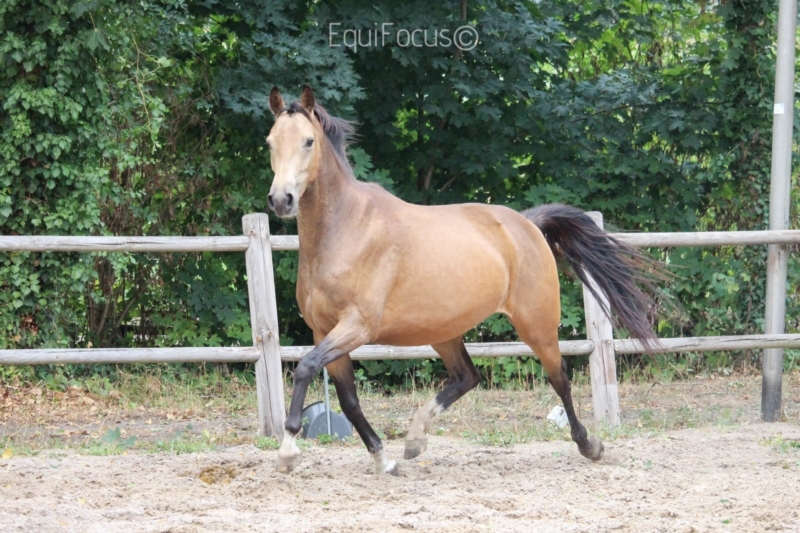 She moves with a lot of power and a amazingly strong hind leg. 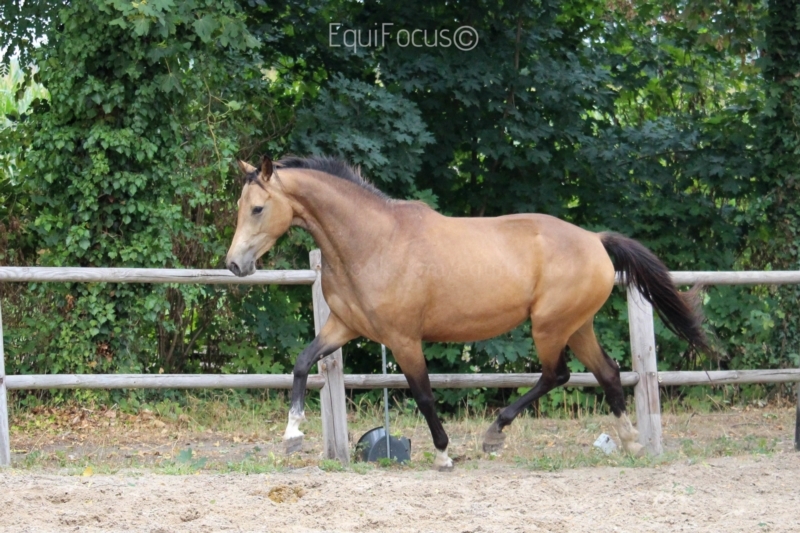 She is ready to get started and now getting introduced to longing in the round pen.